Welcome to The Mascoutah Little Indians home page. Established in 2009, our goal is to teach and guide our youth by improving their athletic skills and developing a sense of fair play. We are dedicated to providing leadership to our youth by showing them good sportsmanship, team effort and commitment to our community. 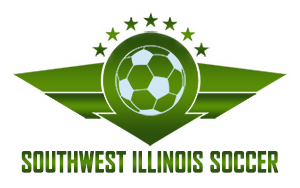 Fall Soccer registration will open May 1st through July 15th. The cost for registration will be $105. This includes the uniform set (jersey, shorts and socks). Everyone will have to purchase the uniform sets. We have gone to one jersey per player to help cut down on cost. The jerseys we have been using has been discontinued as well. Registration opens March 1st for Football and Cheer. *A $75 volunteer fee is also required for each family, including 6U. Payment plans must be paid in full by August 31st. TOP Soccer, a program for young athletes with disabilities. The program is designed to bring the opportunity of learning and playing soccer to any boy or girl who has a mental or physical disability. Registration is open for ages 5 and up. Price for registration is $50 and includes uniform. Tri County League - Find the complete game schedules here.